Marcie Nicks is a Georgia native. She attended Georgia College in Milledgeville and received a BS in Psychology. 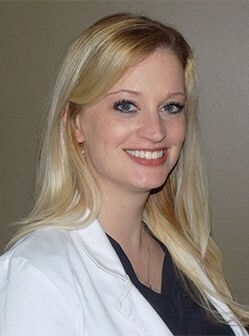 Marcie later attended Brenau University where she received her BSN. After graduation she went on to work at Athens Regional where she fell in love with Women's Health and pursued her Masters in Nursing with a concentration on FNP to be able to further work with these types of patients on a higher level. Marcie has a strong passion for Women's Health and enjoys being able to offer life changing medical care to these types of patients on a daily basis. When she is not working, she enjoys reading, spending time with her husband and 3 children and cheering on the Bulldawgs.